I've been fascinated with Japanese rock gardens, Zen gardens, Chinese penjing, and bonsai for ages. 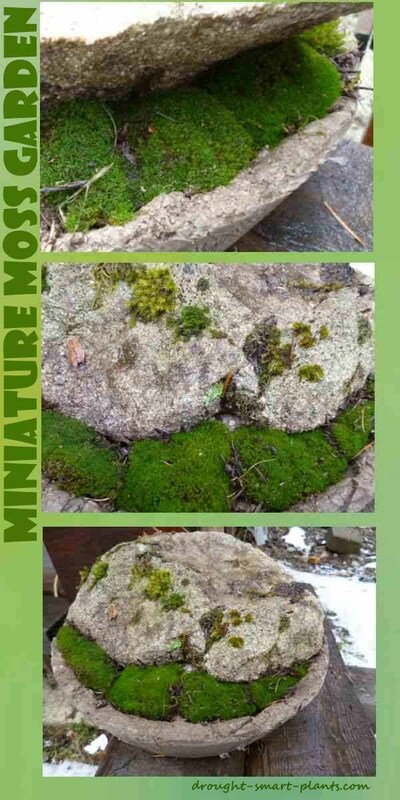 I'm amazed at how easy it is to make a miniature Japanese garden with little more than a bit of moss, a cool rugged rock and a hypertufa bowl. I highly recommend this for a fun little project that only takes a few minutes to put together, but this is garden art at its finest; it only gets better with time. The moss will knit together, and the moss on the rock will grow. I chose this rugged stone because of the dimple in the to surface - it makes the perfect rock for my rain chain to drip onto through the winter, and then for summer display it will go into a more shaded location. Moss prefers to have some moisture and shade, especially in the hottest part of the summer; but don't worry if it dries out and looks dead for a while - the cooler weather of fall and a few sprinkles of rain and it's good as new. 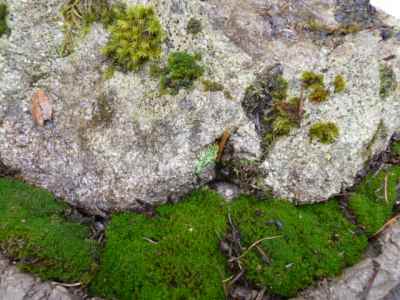 The best soil for moss is on the acid side - if you look at where it naturally grows, it will be in poor soil, or even no soil on the top of a large granite boulder, with only pine or douglas fir needles for nutrients. 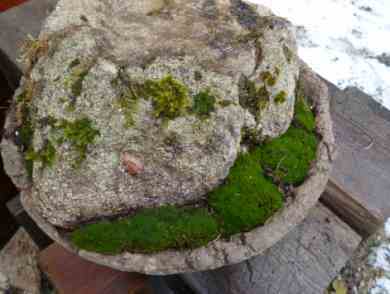 I use peat moss to add more acidity, and mix that with some sandy or clay soil, the press the moss firmly into it. Moss generally doesn't have much in the way of roots, so shallow soil is fine. Moss is one of the oldest of plants, and has figured out some unique survival strategies. In many cases, the spores of moss are there in the environment just waiting for the right conditions. You will be surprised to see moss growing whenever the site, temperature and moisture levels are perfect, even though you didn't do anything to encourage it.